Show your love for SHIELD by wearing this Agents of SHIELD Logo Stainless Steel Pendant Necklace wherever you go. 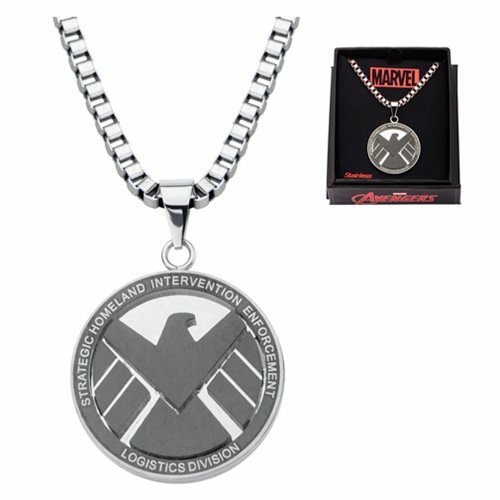 Beautifully crafted of stainless steel, this necklace is perfect for any Marvel Comics or Agents of SHIELD fan! The pendant comes with a 24-inch chain necklace and comes in a presentable gift box! Pedant itself measures approximately 1 1/4-inches in diameter.